Our Action catalog features over 550 different animated or interactive toys. While most of the toys in this catalog sell well all year round, many toys in this catalog are targeted for 4th quarter -holiday season. This catalog also includes our sports line of basketballs, footballs, playground balls, soccer balls, and volley balls. 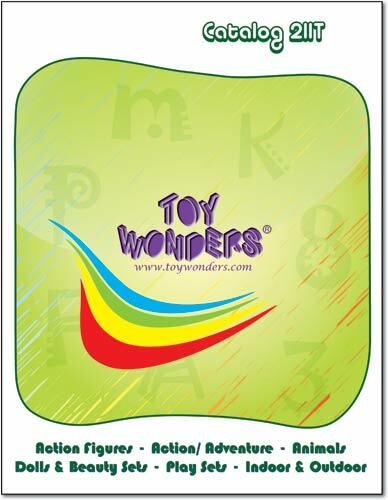 To download Toy Wonders' Toy Catalog (click here). Files below are large in size. Not recommended for those who have dial up modem service. Viewing the above pages requires that you have Adobe Acrobat on your computer .